Welcome region on the ZetaWorlds grid. I had a lot of fun working with OpenSimulator over the past few years, it was fun but I have got a more demanding job and new skills to acquire for that job that now just take up far more time than I have to work on anything OpenSimulator. I am at this time no longer involved with OpenSimulator in any way other than running my own little standalone that I rarely will go on due to my lack of time but just so I can keep and enjoy my content I own and can have on my own machine something that I have always loved about OpenSimulator the ability to truly own your content if you host it yourself — or a provider like Zetamex Network or Dreamland Metaverse. It is sad to part ways from the community just I feel like it is kinda my time to move on. I know I have been in the community a long time and it might not come as a surprise but over the years I have had people enjoy my contributions over the years and just as well made some enemies over the years. 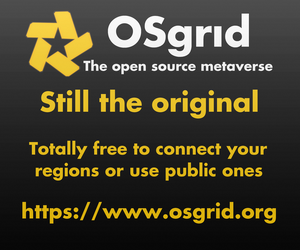 I feel the OpenSimulator community has begun to evolve to a point that I am not really sure where it is going, and that is not necessarily a bad thing. I think it has reached a point of stability. 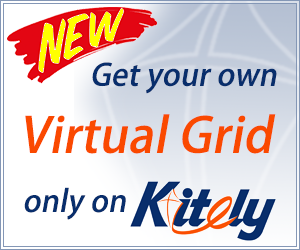 I feel it has got to the point where to be successful grids would have to open up to the hypergrid and with the new security in OpenSimulator for hypergrid content now. However, I am not really sure that this is the peek for the project but I think this is where I get off… I am moving on to new projects that have captured my attention with my job. So some of you might be curious where I am moving onto? Well, that is my company has become involved with container technology and I have been selected to study and assist with setting up and managing OpenShift since I have my experience with Docker and Linux under my belt. The company I work for felt it good to pick me to be one of the System Admins to work on this project which has resulted in me having to study and take several certifications and going to several training events. I am super happy to be moving into this space and working with containers, I grew to love them working on OpenSimulator with putting several services into the containers to make it easier to version control key components without fear of breaking things. I do still plan to write some free code and contribute to open source projects from time to time if I get the time, to try and help grow and keep my programming skills. I know that being a System Administrator can make you a bit lazy on the coding side of things because you’re always deep on the systems fixing issues and just messing with scripts and such; or, at least that is how it works where I am now. But I also plan to keep this blog up to date with various ramblings of things I have been up to in my time between work. Anyways, I love you, OpenSimulator community! I just think it is time for me to move onto my next big thing, also something that I can grow into making me a real strong living. I do want to also mention, I will not stop hosting Zadaroo. Timothy Rogers is a developer and the founder and former owner of OpenSim hosting company Zetamex Networks. He is also the host of the Zadaroo website, which offers a complete collection of free Linda Kellie content.